The newly formed Tropical Storm Arthur just off the east coast of Florida is right in the heart of the cruise industry and near major cruise port hubs like Port Canaveral, Miami and Fort Lauderdale. Currently the storm is only causing an itinerary change for Norwegian Gem which is operated by Norwegian Cruise Lines. The ship was scheduled to visit Great Stirrup Cay yesterday but now instead will call at Nassau, Bahamas. The ship will depart the port at Midnight and then there will be a day at sea to stay ahead of Tropical Storm Arthur while it sails back to its homeport of New York. Tropical Storm Arthur is currently moving north up the coast of Florida very slowly at 4 mph. The storm has maximum sustained winds of 60 mph which could cause damage to cruise ships. Arthur is expected to speed up today and then move towards the north-east along the east coast of the United States. 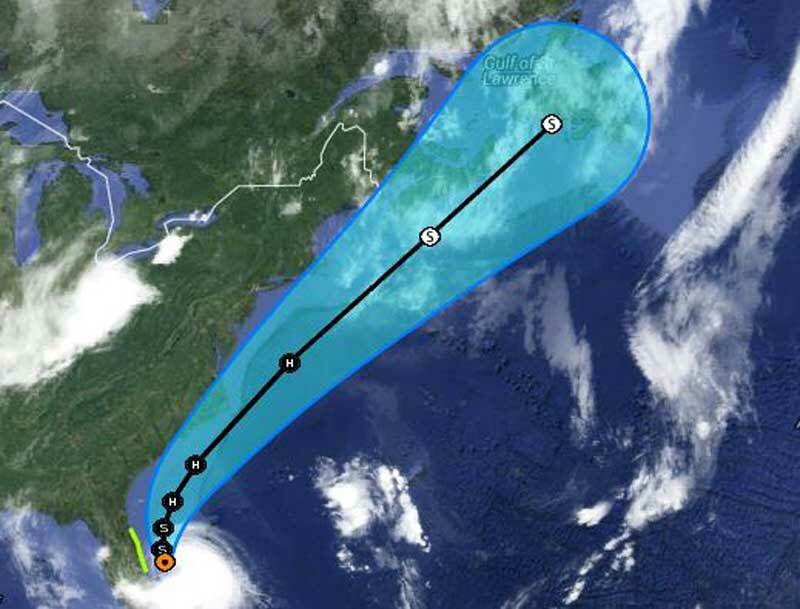 NOAA have predicted that Arthur will become the Atlantic’s first Hurricane of the 2014 by Thursday. As the storm moves north more cruise ships could be forced to make itinerary changes and Cruise Hive will keep followng the latest developments.